Unemployment extensions — no; tax cuts for the wealthy — yes? Today Congress voted down an extension of unemployment benefits for the long-term unemployed. Since 1970, whenever the unemployment rate has exceeded 7.2 percent, the benefits have been extended. No more. …the Republicans of the 111th Congress have waged a two-year, all-out war against extending benefits, regardless of who it may hurt. The GOP’s chief defense of its position is the $12.5 billion cost of a three-month extension, or $60 billion for a full year. Such feigned concern for the deficit is made all the more deceptive when considering the same Republicans are simultaneously demanding that Congress extend the Bush tax cuts for the wealthy. And, while these tax cuts for the rich provide very little economic stimulus, the unemployment benefits they obstruct have provided a vital economic boost to struggling families and businesses. By prioritizing the pocketbooks of the privileged over the needs of the American worker, Republicans are turning their back on their two alleged priorities: the American people and the economy. Not when we’ve faced the worst economic downturn since the Great Depression. Not when we’re still in a dire housing slump. Especially not when the holiday season is upon us. Even Scrooge would be appalled. The important thing to notice is that ALL options result in lowered payments — precisely at a time in our history when housing values have plummeted and employer-sponsored pensions have all but disappeared. The conversation should not be about how to cut Social Security; it should be about how to make Social Security more robust. The New York Times’s David Leonhardt came out with an interactive online widget called Budget Puzzle: You Fix the Budget over the weekend. While it does show some bias — it’s not as progressive as many would like (see criticism below), it’s better than most similar interactive attempts. You get a list of possible changes–both spending cuts and tax increases–and can keep track of your total. In general, the NYT options on both the spending-cut and the tax-hike side tend to hit the poor and the middle classes more drastically than the rich; what’s missing here is the option to implement something much more progressive, in both senses of the word. It’s a missed opportunity, and a shame. Even so, give the Budget Puzzle a try. You will quickly see that (1) if rational people like us ran the budget, getting our financial house in order would not be that difficult but (2) when one places the decisions we can make so cavalierly into a political context, it becomes much harder. How the budget is constructed is a huge political issue; it’s naive to think otherwise. That’s why it’s so important that all of us think about the choices and weigh in with our opinions. Otherwise, those who have something to gain from the system and the money to game the system (through lobbying and campaign contributions) will rule the day. Dan Froomkin, senior Washington correspondent for the Huffington Post, posted this slide show: http://www.huffingtonpost.com/2010/11/10/deficit-commission-proposal_n_781905.html#s179447. It’s worth a look. The co-chairs of the president’s deficit commission made a surprise announcement of a press conference today. During the press conference they released a preliminary report–the “Co-Chairs’ Proposal”–on the commission’s potential recommendations, which have not been endorsed by commission members (or the president). 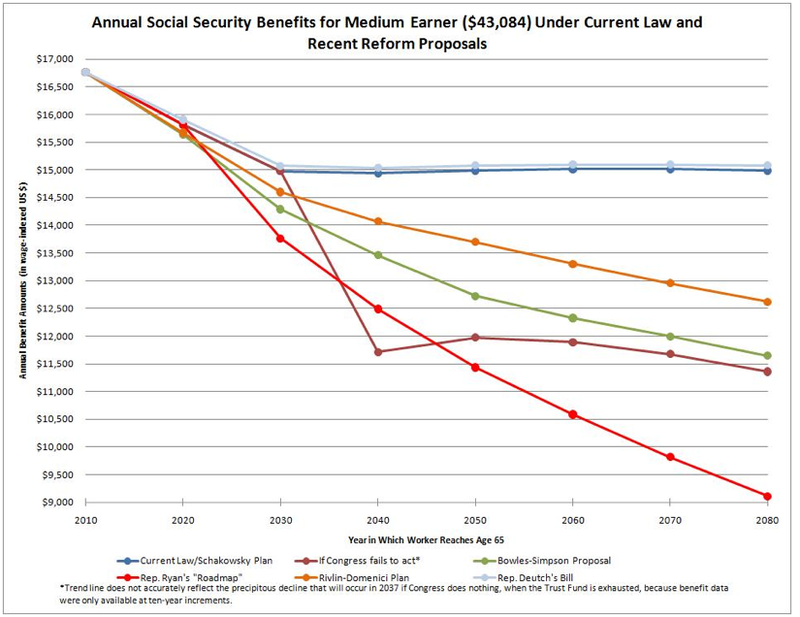 The report calls for changing the way Social Security benefits are indexed, tying them to inflation rather than wages. Since the tax is on wages, it seems logical to tie the benefits to wages. A change to inflation would create significant cuts in benefits, particularly as many seniors’ expenses result from items such as prescriptions, which increase in cost far faster than the general inflation rate. * The plan “will propose cuts to Social Security and Medicare, as well as reductions in income tax rates in exchange for curbing tax breaks,” according to a GOP aide who attended the meeting. * Durbin says there is not going to be “an up or down vote” on this. “The President will wait until the bipartisan fiscal commission finishes its work before commenting. He respects the challenging task that the Co-Chairs and the Commissioners are undertaking and wants to give them space to work on it. These ideas, however, are only a step in the process towards coming up with a set of recommendations and the President looks forward to reviewing their final product early next month,” said White House spokesperson, Bill Burton. Note: This is certainly no endorsement of the proposal. Finally, perhaps lost in the hullabaloo around the chairs’ draft report is this OTHER report, released today by the National Academy of Social Insurance (NASI), “Strengthening Social Security for the Long Run.” Janice Gregory, president of NASI, had an excellent OpEd in The Hill today, discussing some of the points of the report. Check out the report as well as a useful PowerPoint presentation from the NASI presentation this morning: https://www.nasi.org/events/126/event-presentations. Sure seems as though it would be better to have the nonpartisan experts at NASI figuring out how to ensure Social Security’s longevity than the two chairs of the deficit commission, both of whom approached their work from a “we must cut Social Security” perspective. Because the service providers are competing for the business, administrative costs (read: advertising and sales commissions) have been far higher than in the US Social Security system, where administrative costs have been at .07% of distributions, or lower, since 1990. To put this another way, during the 1990s the US Social Security Administration was paying $18.70 per year to administer a claim; at the same time Chile’s various providers were paying an average of $89.10 to do the same thing. Many Chileans, despite living in a system that has, for almost 30 years, required them to manage their own money, actually know very little about that money. 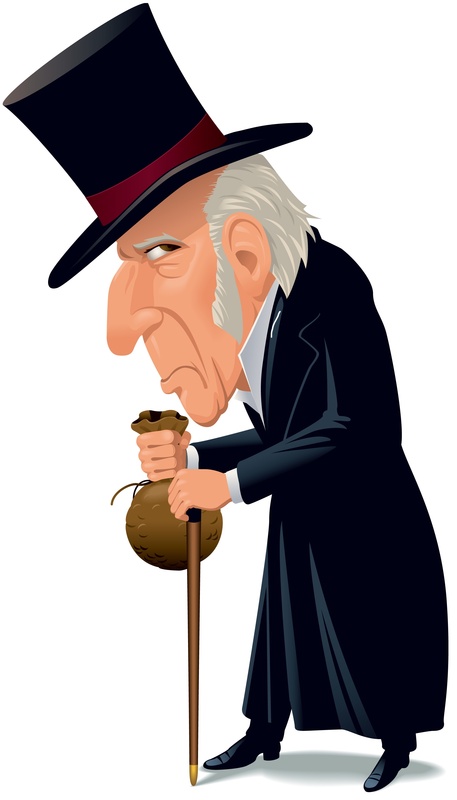 Those who end up in the welfare program are guaranteed 75% of the poverty level; that suggests that if you’re elderly and on welfare, you’re living in poverty. Because of limited funding, there are qualified elderly poor in Chile who do not receive any benefit. If we were to duplicate the Chilean experience in the US economy, 6% of the 2008 GDP (about $15 trillion) means about $900 billion annually in transition costs for the first ten years, and something north of $600 billion annually for the last 37 years of the exercise. Ok. Now, can anyone explain why people are talking about privatizing Social Security as a way of reducing the federal deficit?? ?